A 1950’s photo of the end of Langstone High Street, on the foreshore by Penny Mace, daughter of the landlord of the Royal Oak in the 50s. The building by the foreshore, where Henry Russell stored and graded his shellfish, was previously stables and had no windows until it was made into a cottage in 1953. (photo taken in the 1950s). 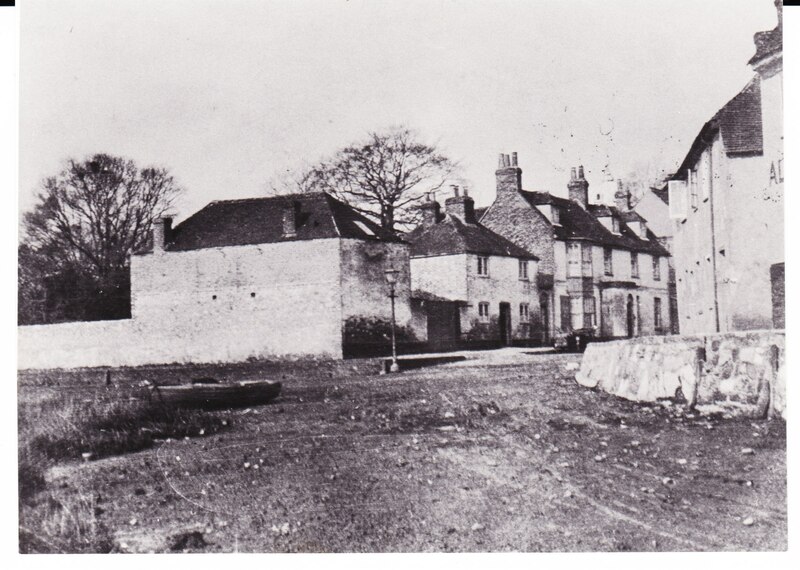 Henry lived in the big house on the left and the small house in between was where the domestic staff lived. Langstone level crossing circa 1900-1914 from the Roger Nash collection.